Wholeaf.com is now offering a Steel Chaveta Knife, crafted in a classic style that is perfect for cigar manufacturers and roll your owners alike. 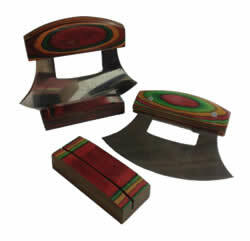 This is the preferred Chaveta Knife / Cigar Cutter by professional cigar rollers. And this tool is also the traditional cigar tobacco leaf cutting tool that has been used for generations, and still used today in cigar rolling factories around the world! The chaveta knife comes pre-sharpened for effective cigar cutting. Exercise caution and use at your own risk! This chaveta knife is the perfect compliment to your hand rolled, whole leaf tobacco cigar! Everything you need to roll your own masterpiece cigars! The perfect kit for the beginner cigar roller, includes an instructional 'how-to' DVD, the required accessories and plenty of tobacco to roll to get started rolling your own cigars! 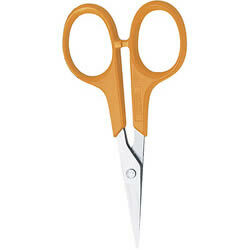 These miniature scissors are ideal to pack on a trip, and come in handy when you need to make cuts in a tobacco leaf. Their unique size will allow them to fit into small containers/spaces. 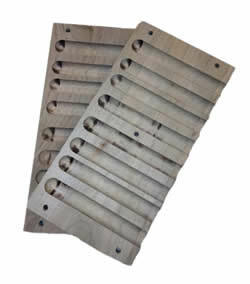 These straight cut cigar molds are made with the cigar hobbyist in mind. They are easy to use and help to produce professional quality cigars. 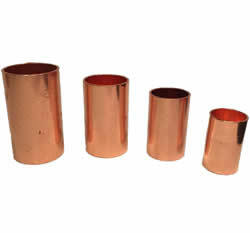 These round cap cigar molds are made with the cigar hobbyist in mind. They are easy to use and help to produce professional quality cigars. 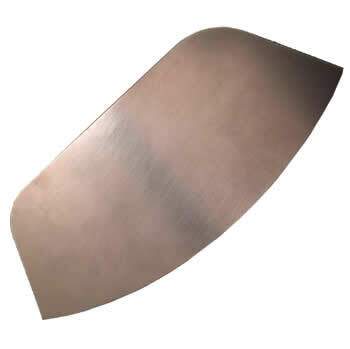 This modern style chaveta knife has a quality blade, and it even has the same shape as the traditional chavetas used throughout cigar making history. This 16in x 16in handcrafted cigar cutting and rolling board features a walnut stripe placed strategically through the entirety of the board that adds structural stability / functionality, as well as providing an aesthetically pleasing look. This Cigar Tuck Cutter is perfect for rolling aficionados of all skill levels, this superior device will help you produce perfect sized, professionally cut cigars! 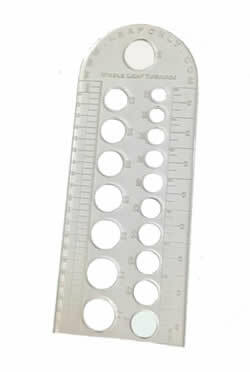 This Cigar Gauge Guide is made of durable, long lasting acrylic plastic. 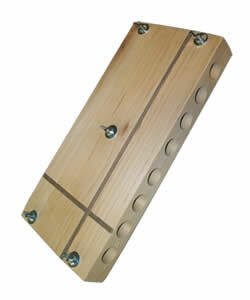 It is sturdy enough to handle the abuse of every day use and cigar ring gauge measurement. Cigar glue is difficult to find and not regularly available online. Our cigar glue is formulated to be the perfect adhesive for all of your cigar rolling / sealing needs... and we have three different kinds: Non-Acid Pectin, Gum Arabic and Professional Bermocoll. 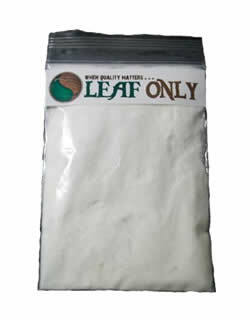 Our various cigar glue powders will make enough glue mixture to easily roll hundreds of cigars! Cigar glue is used for rolling cigars and is also handy for cigar repair. Mixing instructions are included with each jar. A cigar cap is a round piece of tobacco that is used to cover the mouthpiece of a finished cigar. Use this vanilla tobacco flavoring to give your tobacco leaf blend the unique taste you desire. Easy to use! A large plastic storage jar and 5 Water Pillows to keep your tobacco fresh and moist.